Sugarbird, new kid on the block, a fine Cape gin, named for a fine Cape Bird…. Sugarbird Gin, made in the Western Cape, is a tribute to this feisty little bird. Driven by floral notes, pine and spice, it has a raft of florals and botanicals and natural flavourings. The traditional juniper berries meld in a gin led by grapefruit, lemon and orange peels and rose geranium. Rose geranium is a pelargonium which is indigenous to South Africa, and one of many cultivated scented varieties. Others are Honey Bush and Rooibos, well known herbal infusions, angelica root [a relation of parsley], Cape May and the better known ‘brown’ culinary spices, cardamom, coriander and cinnamon. 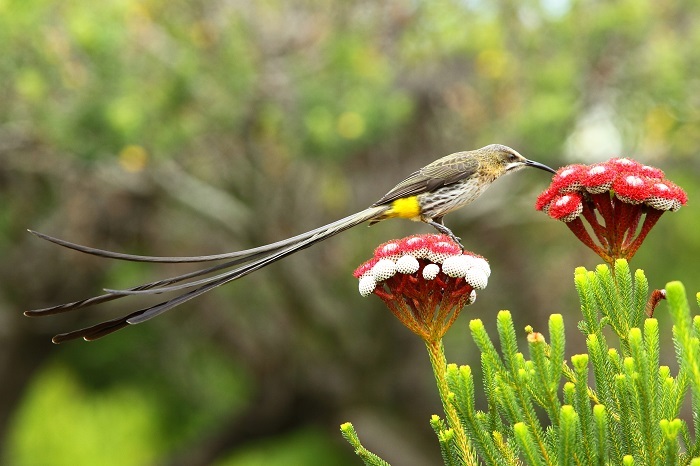 The Cape Sugarbird, promerops cafer, feeds off nectar from the mainly Protea fynbos of the western and southern Cape using its long furry tongue. It shows itself as a real character in that it also eats insect and spiders. It has developed long claws to cling on to the proteas in the traditional blustery Cape winds. These claws spoiled the flowers for export and an education of European customers was undertaken. 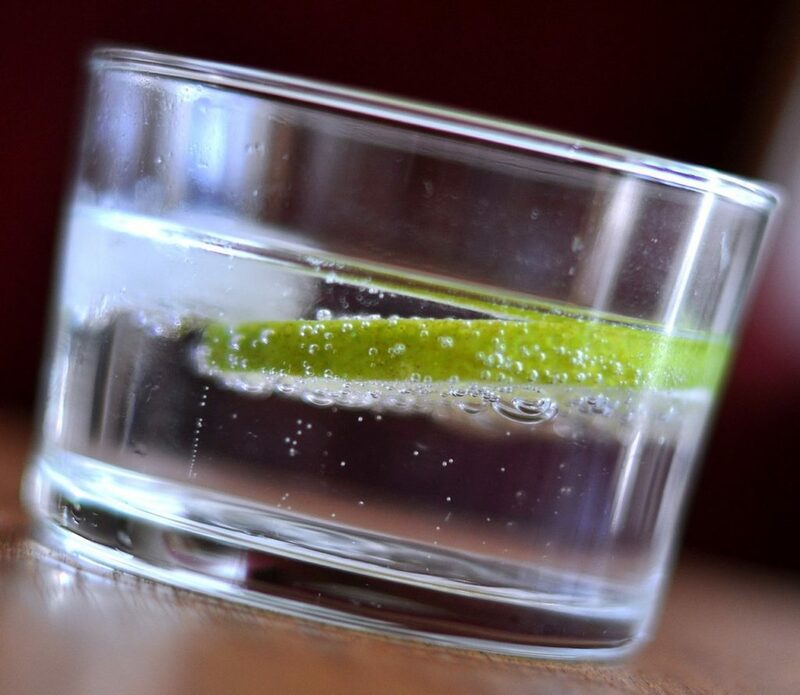 If you use an excellent tonic like the Barker & Quin, you will find that the citrus comes into prominence making for a truly refreshing G & T.